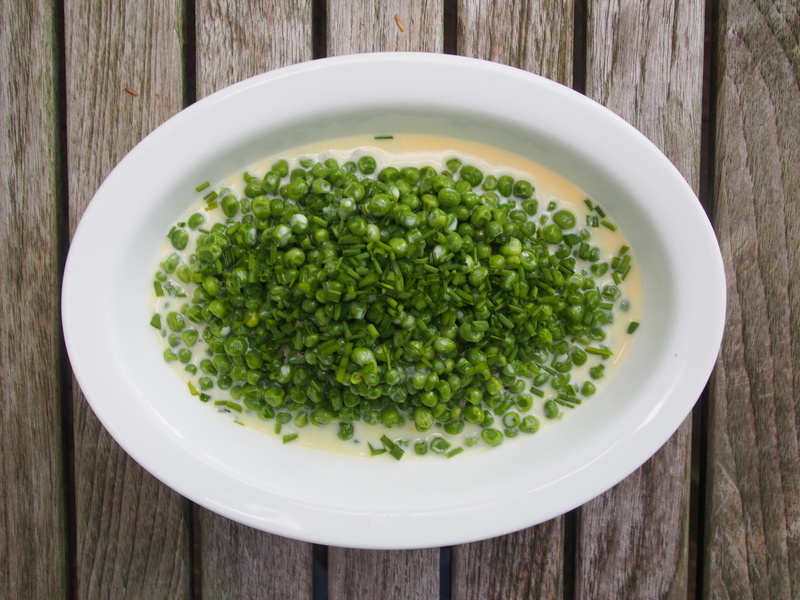 Bring ¼ cup unsalted water to a boil in a medium saucepan, then slowly add peas so water maintains a boil. Stir in sugar, reduce heat and cook peas, covered, until heated through, 2 to 3 minutes. Drain in a colander. Boil cream in the same saucepan until reduced by half, 2 to 3 minutes. Add butter, peas, ¼ teaspoon pepper and salt to taste and cook over medium heat, stirring, until butter is melted and peas are warmed through. 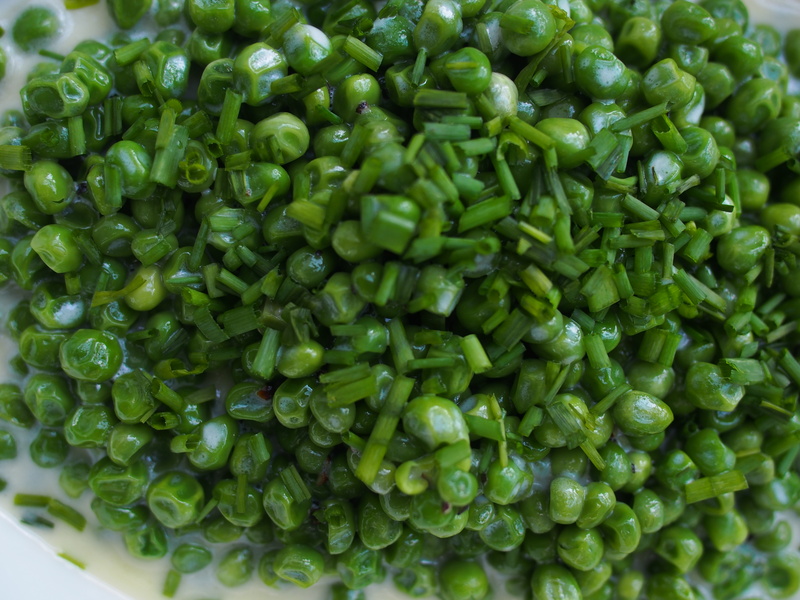 Stir in chervil or chives.